If you haven’t considered a video marketing which is proven to increase mobile traffic, try this strategy. If you haven’t considered a video marketing strategy yet, you should review how you are engaging your audience. In the recent year, an increase of 69% was expected in video marketing. Furthermore, approximately 50% has been accounted for all mobile traffic. 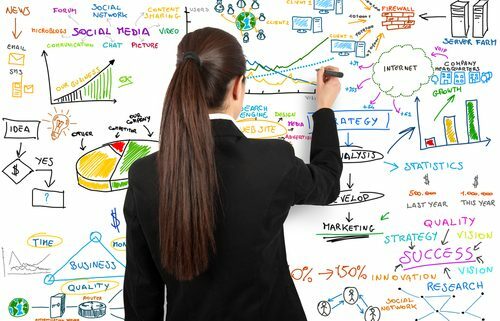 This means that you may greatly improve your marketing strategy with this trend. Implementing digital sign content works just like adding ad contents package to your existing content management system. Simply upload your selected video file and set the specific time of the day or week to play or replay it. Thus, you can easily determine how your audience will engage with your brand. It’s as easy as taking videos via smartphones and uploading to any video streaming service such as YouTube. You can enable your audience to engage by allowing them to take a tour of your store, give a quick shout out, or feature to them any new products on your shelves. 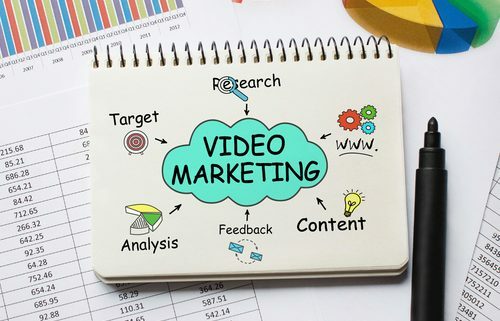 You might have gotten the impression that it is too expensive implementing videos in your digital signage marketing campaign. On the contrary, you don’t need to create an expensive production to capture the attention of your audience. A simple realistic video marketing and digital signage can make your business more successful. This can help your audience remember your brand without you having to spend a huge amount of money. Video marketing is proven to increase mobile traffic. SIGNPROgrammers offers its customers the best in LED sign content and Sign Programming, nationwide and to the following counties and cities: Attica, Champaign, Cissna Park, Covington, Danville, Urbana, Hoopeston, Indianapolis, Loda, Paxton,, Rantoul, St. Joseph, and Tilton, Westville, Georgetown, Catlin, Schaumburg, Hoffman Estates, Romeoville, Elk Grove Village, Waukegan, Wauconda, Streator and Downers Grove. One of the most popular advertising tools for business is the electronic message center, or EMC, due to its wide variety of features. It includes user-friendly programming, clear resolution, remote access, and 3D animation and graphic capabilities, among others. You might be interested in an EMC because of its marketing power. With it, you can bring in a “wow factor”, because it is so easy-to-use, cost-effective, and provides an immediate solution. Moreover, it reduces the overall advertising budget, while building awareness for your brand, expanding your coverage, and increasing foot traffic and impulse purchases. Electronic message centers come in various resolutions in order to suite your message, location, and budget. In fact, EMCs can be fused into new or existing signage. It is not advisable to let your customers navigate through a complicated message system. Thus, it should come with EMCs that have intuitive and user-friendly software that will accept multiple file formats, can handle texts, images, video streaming, and comes with an animation library. Take note that EMCs or LED displays are devices that convey computerized programmable electronic visual communication. This is specifically intended for the outdoor environment. Such are capable of displaying and storing of multiple messages in a variety of formats and different intervals. Moreover, it would allow you to modify your messages more often but without the cost of replacing broken or missing letters. It doesn’t even require physical labor in order to change copy. In addition, it allows you to communicate in a more effective manner with the typical person passing by the sign in order to match the time of day by modifying the message and graphics that would match the street profile. Software would enable business owners to display sophisticated images or logos on the EMC as planned. The message can be changed by business owners in order to offer information to specific retail customers, as well as developing political, social or community events. Overall, you should know that choosing the appropriate LED display is essential in boosting its potential. So take time to ensure that the following terms are met. Determine what type of viewing audience you are going to target. There is no denying that when you make a choice to buy LED sign graphics, it means that you are investing in a dynamic messenger. It is a great choice because suitable and eye-catching messages get people’s attention. Attractive LED signs serve as a 24-hour salesperson that sell your message and get people interested in what you are saying. This means that its essence of being a round-the-clock module requires modifying your messages efficiently so that you will gain profit out of it. However, the attraction of outdoor LED sign advertising might not work if you lack the right content. You need to make content that will capture the hearts of your target market. 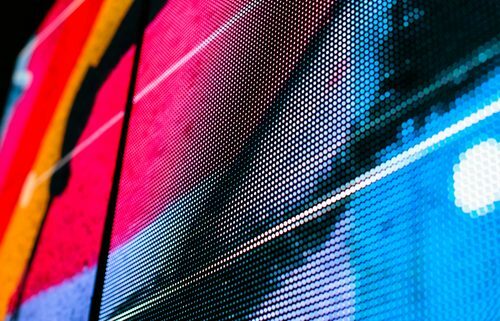 Here are things that you will find useful when creating content with LED sign graphics. Before you can accomplish anything with your LED sign, you need to have a direction and a goal to streamline all your efforts. It would help if you wrote down your expectations and the things that you wanted to achieve within a matter of weeks, months, or years. Writing down the age and gender of your target audience is essential, so that you’ll be able to curtail the message that appeals most to them. Taking down notes regarding their lifestyle, cultural activities, religious practices, and other factors is also important in order to get a better picture of who they are. Find out things you possess that other people don’t have. Well, it is a matter of what you can do for your customers in order for them to stay. You can highlight such things within your content. If you are going to have LED sign graphics, make sure that you promise only what you can fulfill. Just let people know what you do best. You should know that your voice must be related with the image that your customers need to see. In other words, the graphics you are using for your digital display should match with that of your brand image. In order to make certain of your campaign’s effectiveness, you should find a way to measure it after launching your LED sign graphics. This way, you can ask your most loyal customers regarding their opinion of your latest marketing campaign. You may also consider asking your stakeholders or staff regarding their feedback. If possible, you must adjust when the need arises. Take note that your LED sign graphics display is many times the first thing to greet your customers. So it is important that the frequency of messages is properly set in order to promote events and specials more effectively. This can be done by making certain that your potential customers will see your messages a number of different times. If possible, you can drive by the location of your LED sign at specific times of day or night. This way, you can be sure that the right signs are displaying at the right times. Or if you need your display times reset.